HCV infection is a global health problem affecting two to four million people in the United States and 71 million people worldwide. HCV causes more deaths in the United States than 60 other infectious diseases combined, including human immunodeficiency virus (HIV) and tuberculosis. 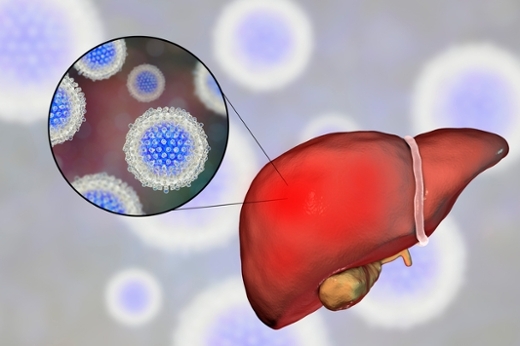 The National Science Foundation has awarded a $1.2 million grant over four years to a team of researchers to study the elimination of hepatitis C virus (HCV) infection in the United States. The interdisciplinary research team is comprised of Anne Spaulding, MD, associate professor of epidemiology at Emory University's Rollins School of Public Health and an infectious disease physician in the Department of Medicine, Emory School of Medicine, and colleagues from the Georgia Institute of Technology and Massachusetts General Hospital. This collaborative research aims to use innovative methods from operations research to answer policy-relevant questions that could lead to HCV elimination in the United States. The research will address questions such as: How should state Medicaid programs expand HCV screening and treatment under their constrained budgets; what kind of screening policy should be implemented for the general population; and how would investments in high-risk groups such as people in prisons reduce HCV transmission. The interdisciplinary team will also develop practical decision-support tools for implementation and use by the stakeholders. To facilitate implementation, the researchers will partner with the Department of Health and Human Services, state and county health departments, and prison policymakers, who are the potential stakeholders of the proposed solutions and tools. Ultimately, this innovative project has the potential to substantially reduce HCV disease burden, eventually leading to its elimination by 2030. "I have been taking care of patients with hepatitis C for two decades, in both correctional facilities and the community," adds Spaulding. "This research is important as we study how addressing hepatitis C in each setting contributes to eliminating this curable disease." This research is supported by the National Science Foundation under Grants No. 1722614, 1722665, and 1722906.